Straight out of Kevin Costner's "Waterworld"? 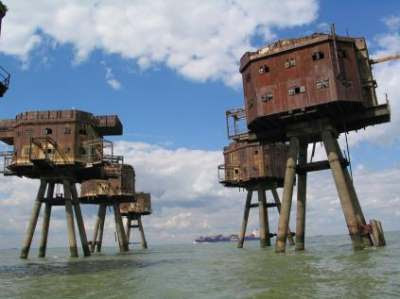 Literally, these are forts (military ones) on piers/legs. WHAT THE HECK ARE THESE! ?